Mud Cleaner is the second class or the third class solids control equipment which is the newest type to treat the drilling fluid. Mud cleaner mainly combines with desander,desilter and bottom shaker. At the same time Mud cleaner has the higher cleaning function compared with separated desander and desilter. 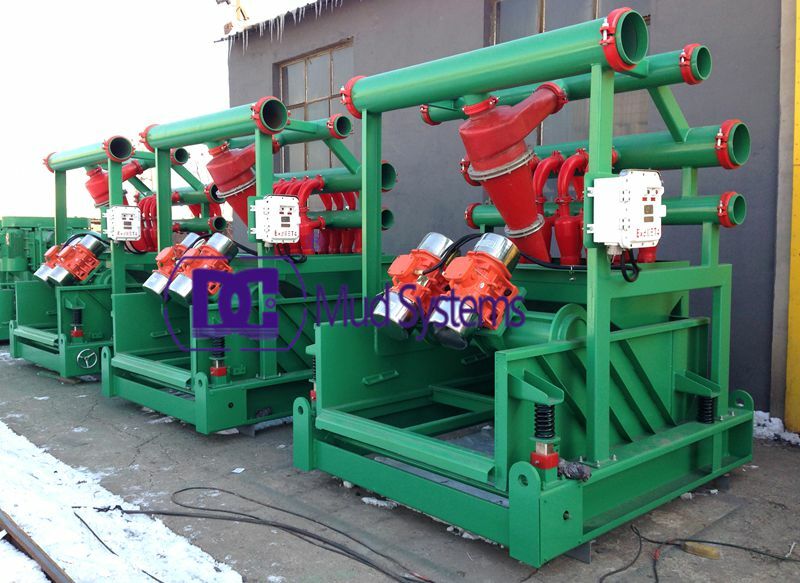 In addition to the reasonable design process, it equals another shale shaker DC mud cleaner structure is compact, it occupys small space and the function is powerful. Mud cleaner is the ideal device of the second class and the third class solid control to treat the drilling mud. The mud cleaners are given a three-part coatings to maximize equipment life. Spare parts and consumables have been designed to ensure the lowest replacement cost & long-term product durability. The numbers of hydrocyclone device decided the productivity, and rotary flow quantity. DC Solid control can matched different Qty hydrocyclones according to users actual request to get the ideal treating capacity. DC is a professional manufacturer of solid control system/equipment in china. We will provide our client high quality products with most reasonable price, at the same time we also sincerely offer the high level after sales service for any home or abroad clients. We still adhere to the concept of creating the maximum values and the satisfaction for our clients.